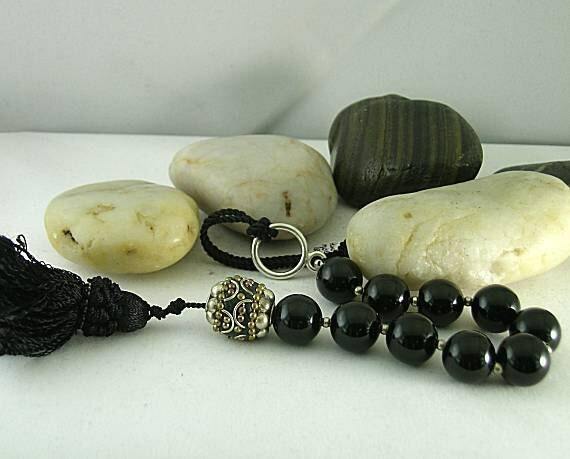 A chaplet with ten beads, called a Tenner or in German, "Gebetskette Zehner" (prayer chain with 10 beads), was very popular in the 15th and 16th century. They usually had a saint's metal, cross, pomander or tassel hanging from the bottom. 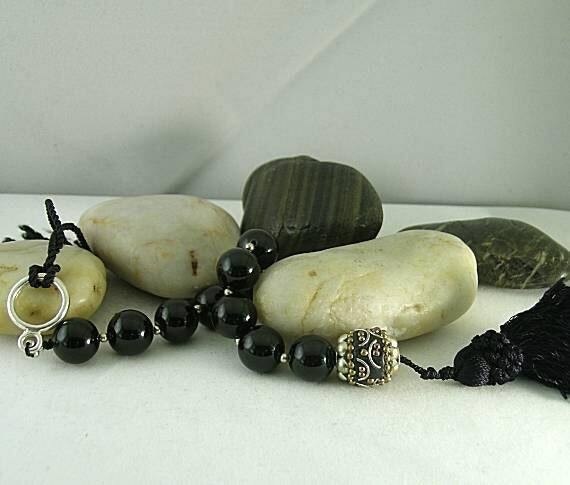 Often an eleventh larger bead was added as well. 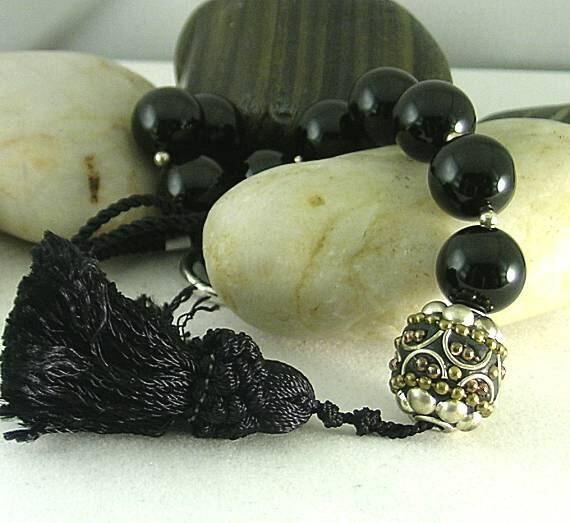 This one has ten 14mm black onyx beads separated with 3mm silver spacer beads and a large 18 x 20mm handmade black clay bead decorated with silver and gold toned elements. All are strung on a silk beading cord that has a tassel attached at one end and a ring with a hanging cord on the other end. The overall length is approx. 11 inches including the tassel but not including the cord.